Celebrate a new year with the Society’s “Begin Again” E-Retreat! Take time to enjoy the third of three guided video reflections on theme of beginning again: with God, with self, and with others. 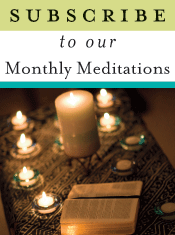 Follow this link for all the previous monthly meditations.